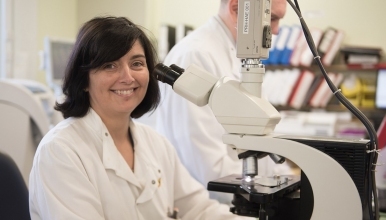 An exciting opportunity for a 12 month fixed term Associate Practitioner has arisen within the Blood Sciences department (Biochemistry, Haematology and Blood Transfusion). We are looking for a highly motivated enthusiastic individual, with experience of the automated systems used in Biochemistry, Haematology and Blood Transfusion Laboratories. You must be able to prioritise and work on your own initiative with minimal supervision and be capable of working accurately and efficiently under pressure. .
As an Associate Practitioner you will assist in the provision of a diagnostic service and will support the Biomedical Scientists in preparation, operation, monitoring and maintenance of complex laboratory equipment. You will also be expected to participate in the provision of an out of hours service as part of an average 37.5 hour working week - including evenings, nights, weekends and Bank/Public holidays. Candidates should hold either a Foundation degree in Health Sciences, a HNC/HND in an Applied Biological Science or an Equivalent qualification (or higher), in a relevant science based subject. Previous experience in an NHS clinical laboratory or in analytical techniques is essential. The post is based at The Princess Royal Hospital, although candidates may be required to cover absences on any of our 3 hospital sites.